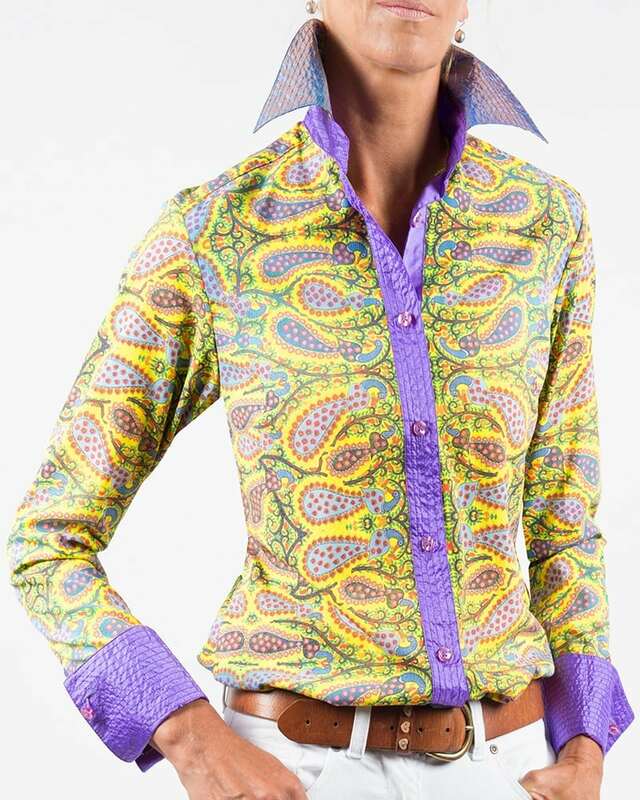 Brighten up your day with this light and bright fun shirt with peacock print. The purple collar and cuffs are a great contrast to the yellow background of the rest of the shirt. Button fastening down front. Purple silk facing on collar and cuffs. Front panels can be wrapped up. 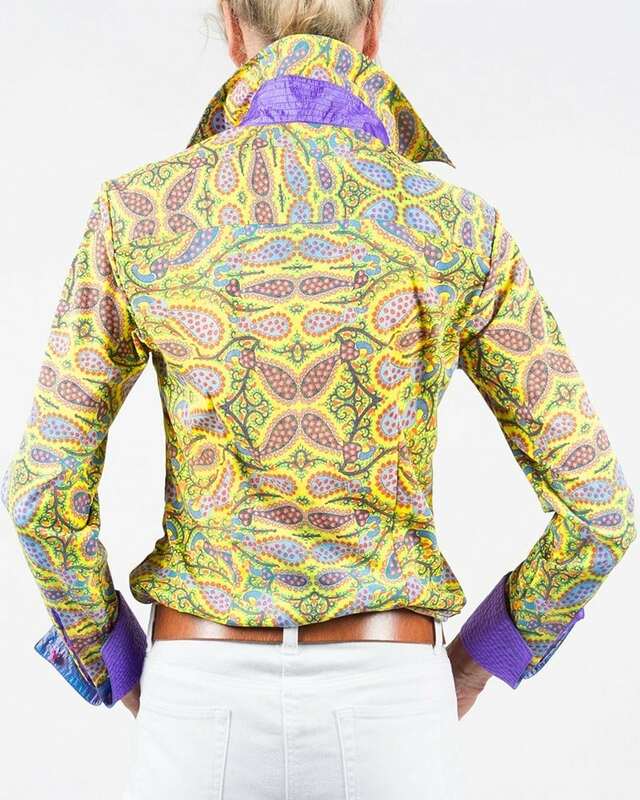 Wear it tucked in or as an over shirt with a camisole underneath. The turn back cuffs have cuff link button detail.